What Would Du Bois Do Today? The Wisdom of W.E.B. 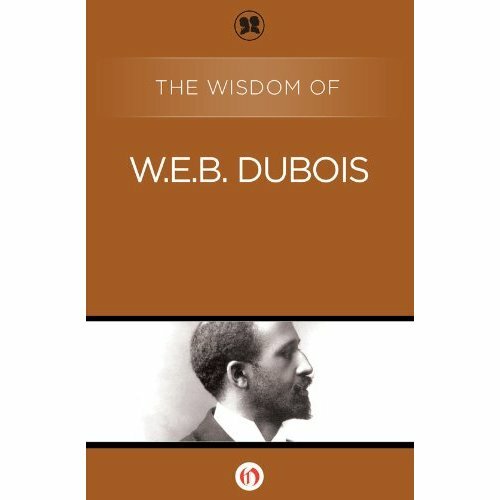 Du Bois, featuring quotations from works by Du Bois and original essays by the American author, poet, and editor Aberjhani. Published by the Philosophical Library. Among the aspects that fascinate me most about Black America's past is how our ancestors made history happen. Although much of what we call history clearly happened to them in the form of enslavement and corrosive colonialism, they nevertheless both survived and thrived- gifting to humanity some of its most life-enhancing inventions and philosophies. In the process, our ancestors established enduring legacies that exemplify what it means to live the history of a given moment with inspired courage, transformative vision and informed purpose. them he will help define and confirm the idea that descendants of Africans removed from the continent during the trans-Atlantic slave trade, or under other circumstances, comprise an international community.This meeting is called the Pan-African Conference. Those attending have chosen to live the history of the moment in such a way that the conference evolves into a series of Pan-African Congresses held periodically throughout the twentieth century. Travel accommodations improved as timed passed but the purpose of the journey remained the same: to endow history with events and meaning advantageous to all people rather than just a few. "...Strengthening national actions and regional and international cooperation for the benefit of people of African descent in relation to their full enjoyment of economic, cultural, social, civil and political rights... and the promotion of a greater knowledge of and respect for their diverse heritage and culture." What might someone such as Du Bois, those with whom he met in 1900, or the great historians Carter G. Woodson and J.A. Rogers have done with such a proclamation? Maybe they would have organized book clubs to read the biographies of Blacks in other countries, held fundraisers, organized another conference, or put on plays, and establish agendas. One thing for certain is this: they would have lived the history of this singular 2011 moment with vision and purpose. They would have made it count. The question is, how will we? ​The resurgence of interest in The Wisdom of W.E.B. Du Bois in 2017 is gratifying for many reasons. The renewed interest is especially appropriate as we approach the 100th_Anniversary of the Harlem Renaissance. It is also worth noting because this title is part of the celebrated Philosophical Library Series. To fully understand the significance of that statement, it should be pointed out that that the Philosophical Library was founded in 1941 by Dagobert D. Runes, a philosopher and scholar born in Born in Zastavna, Bukovina, Austro-Hungary (now in Ukraine). This #image shows different Amazon Kindle titles with The Wisdom Of_W.E.B. Du Bois at number 7 on the Best Sellers List. The philosopher's objective, as noted on the Philosophical Library's website, was "to publish the great works of the brilliant European intellectuals Runes admired and had befriended, many of whom had fled to America in the 1930s. These were the distinguished men and women who gave birth to the remarkable ideas that helped to define the 20th century." W.E.B. Du Bois's inclusion in the series represented a double #milestone: at the same time that it commemorated the centennial of the publication of The Souls of Black Folk, it also represented the first time an African American's work was included in the Library. Very much in accordance with the beliefs of many of the authors previously published in it, this demonstrated the increasing #value of #diversity and adopting a global_approach to humanity's many challenging issues. You can see why it would be humbling to have my work appear alongside that of the great W.E.B. 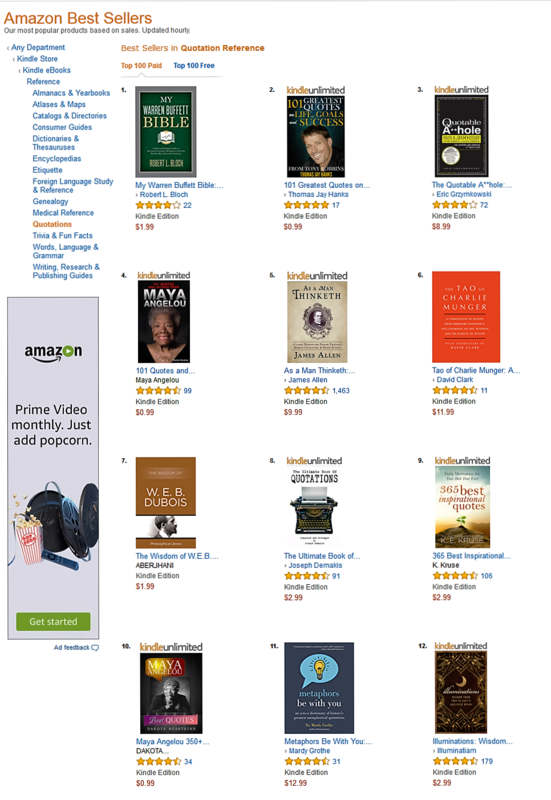 Du Bois and included in such distinguished company. The time of this posting being Women's History Month, I am currently designing a Postered Poetics art graphic featuring a quote from TheWisdomOf_WEBDuBois expressing his deep appreciation of and love for #women. As with other titles in the Philosophical Library Series, The Wisdom of W.E.B. Du Bois contains an extensive selection of quotes and short works, such as poems and editorials excerpted from sources that are both rare and well known. Considering that Du Bois lived all of some 95 years, the legacy of his wisdom is indeed profound. A bonus feature of this particular Philosophical Library Series title is an essay by Aberjhani introducing each of the twelve sections. The sections themselves cover the kind of topics one might expect in a book on Du Bois, such as democracy, war, and race relations; but they also include the great leader’s thoughts and stated feelings about such issues as love, art, and education.